Yoon majored in film at Seoul Institute of the Arts and Korean Academy of Film Arts. Yoon’s short films, "Drink and Confess" (2009) and "Boys" (2008) were invited to various film festivals worldwide. 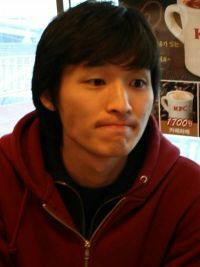 In the 15th PIFF, Yoon’s work will be seen through the human rights project omnibus film "If You Were Me 5" and his first feature film "Bleak Night". [Photos] New Behind-the-scenes Images Added for the Upcoming Korean Movie "Hunting Time"
[Interview] Choi Wooshik Happy to Have Worked on "Hunting Time"